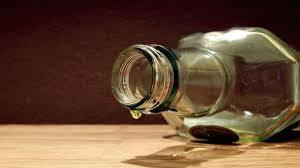 The Rivers State Government said on Wednesday that 28 more deaths had been recorded following the continued consumption of the killer local gin by unsuspecting consumers, thus increasing the casualty figure from 38 to 66. The Director of Public Health in the State Ministry of Health, Dr. Nnana Onyekwere, disclosed this in Port Harcourt shortly after dealers in local gin popularly known as Ogogoro or Kai-kai, met with the Permanent Secretary of the ministry, Dr. Somieari Harry, on the burning issue in the state. Onyekwere told newsmen that apart from the 38 deaths announced last week, health workers on the field discovered that more people had died after consuming local gin. He pointed out that apart from the deaths recorded in Obio/Akpor Local Government Area, more persons, who drank the poisonous product in Bonny, Port Harcourt, Gokana and Ahoada West, had also died. He expressed worry that despite the enlightenment campaigns and warning for people to stay away from local gin, many were still consuming the product. Explaining that the ban on sale and consumption of Ogogoro by the state government still stands, Onyekwere added that only total abstinence from the product could stop the increase in deaths as a result of the killer gin. He explained that places that were most affected were riverine areas, describing such places as high alcohol consuming areas. “We are a bit worried that despite the public enlightenment that is going on, we are still having increase in death toll. But a critical look at the spread of the death toll shows that it is not increasing in the initial places they were reported. “We are getting fresh reports from other places that were not reported earlier. Initially, we were dealing with that of Woji, Obio/Akpor. Now, we have some cases in Port Harcourt here; Abuloma area of Port Harcourt.